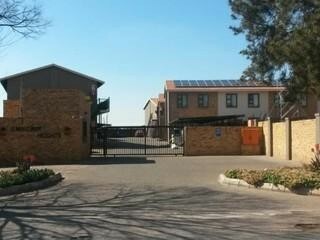 Sign up and receive Property Email Alerts of Apartments to let in Cw5, Vanderbijlpark. Hemingway Heights offers safe and secure living with 24 hour security! Beautifully designed apartments giving you the choice between ground floor or first floor units. The development is situated close to the Vaal Mall and surrounding schools as well as ideally located close to institutions like Sasol, Mittel and Eskom and both Universities (Vaal University of Technologies & North West University) in Vanderbijlpark CW-5. The Development also offers optimal security features including intercom system, automated access control and electric fencing and CCTV. Non-slip ceramic floor tiles, vitreous china and acrylic sanitary fittings, white melamine built in cupboards and formic kitchen counter tops. Telephone and television conduits available in all units with a communal aerial and satellite point. A separate designated washing line area is available as well as covered walkways. 24 hour Building manager on site. Contact us today to arrange your viewing! Sign-up and receive Property Email Alerts of Apartments to let in Cw5, Vanderbijlpark.